In this post, I’d like to share with you a video preview of the latest development board (Single Board Computer) with Android OS that I’m working on. It has a capacitive 7″ touch screen. Compared to the MCU ARM used in a previous home automation project, this SBC is shipped with an ARM Cortex A8 MCU at 1 GHz and with no doubt it is very powerful and fast. In addition to Android (up to ver 4), it supports WinCE and Ubuntu. It has 512MB DDR2 on board SDRAM, 4GB of iNand flash memory, Ethernet, serial ports (3x Rs232, Rs485, uart, i2c, spi) and 4x USB Hosts, HDMI and TV OUT, 2x SD, G-sensor, GPS and GPRS interfaces and many more. 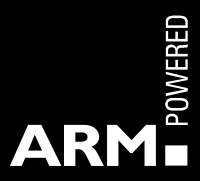 For those of you interested to use this ARM Cortex in industrial automation, I designed a native Android library that manage the rs485 modbus protocol. This entry was posted in development boards, modbus, smart home and tagged a8, cortex, development boards, linux, modbus, wince by biemadmin2012. Bookmark the permalink.